How To Save A Second Life Music Stream To A Media Player. 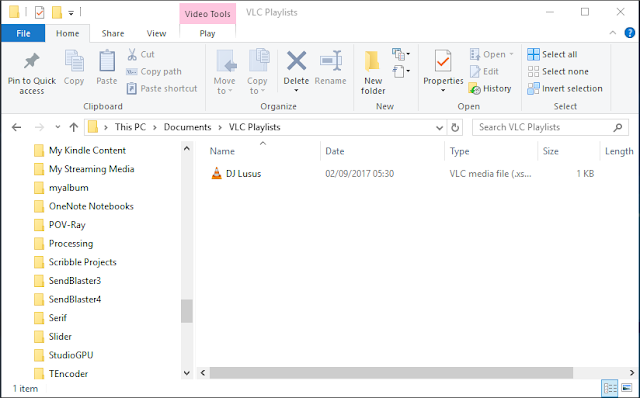 This tutorial came about after following the example of SL resident Captain A-Jay who listens to Second Life music streams via an external media player, namely the excellent and free VLC. After trying this it became clear that music quality was much improved compared to listening through the SL viewer. However there was one small problem. If you look at the url of a Second Life stream it is clear its not easy to match it to a DJ, so picking the correct stream in VLC to listen to can be a challenge. 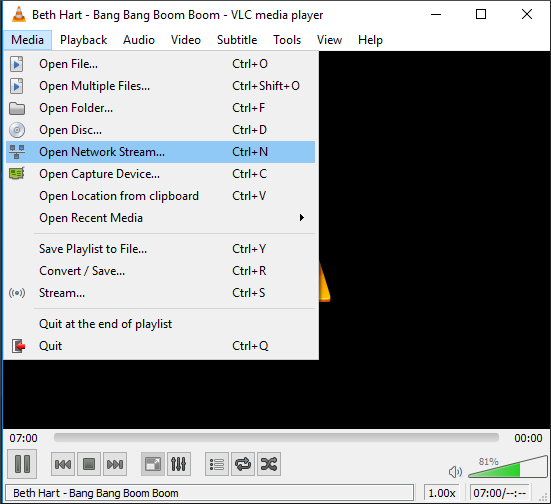 Hence the purpose of this tutorial is to show a way to save a stream in VLC so that it has an identifying name. After this we'll show another way of saving and listening to a Second Life stream by using MusicBee, which is another excellent and free music software package. If you prefer, you can watch a video of this tutorial on our YouTube channel, or you can view the video at the bottom of this page. 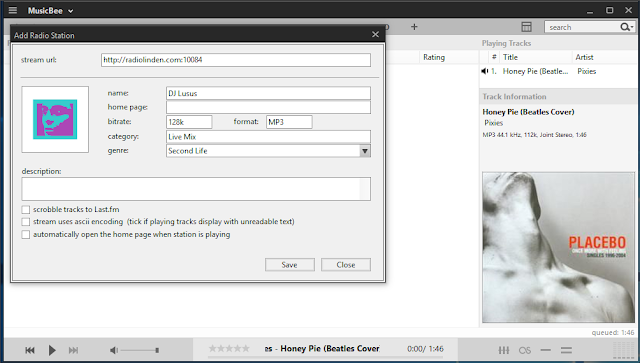 Before you can listen to a Second Life music stream in a media player you need the stream url. To get it follow these steps. 1/ Assuming you're already at the location where the stream is playing click on the 'i' icon at the beginning of the location address at the top of the viewer. This will open the Place Profile window, shown above. 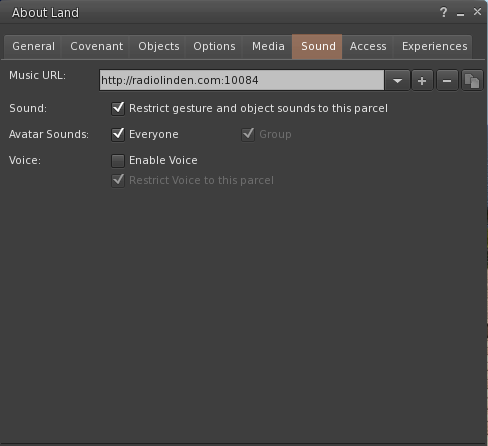 2/ Click on the About Land button and the above window will open. Select the Sound tab. Drag your cursor over the music url, right click and select Copy from the drop down list. Keep it somewhere safe as we'll need it later. Some locations in Second Life won't allow visitors to copy the music url, in which case you can ask the DJ if he can share the stream url with you. Most DJs will be happy to do this, although it may be a good idea to tell them why you want it. 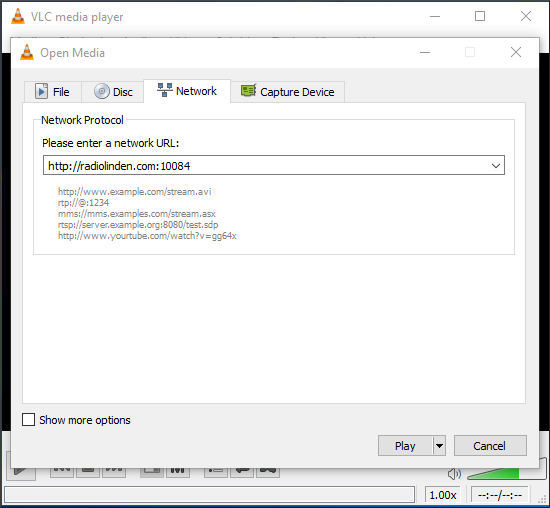 1/ In VLC select Media > Open Network Stream as in the image above. 2/ In the window that opens paste the music url from Second Life. Then hit the Play button. 3/ Now select Media> Save Playlist to File. 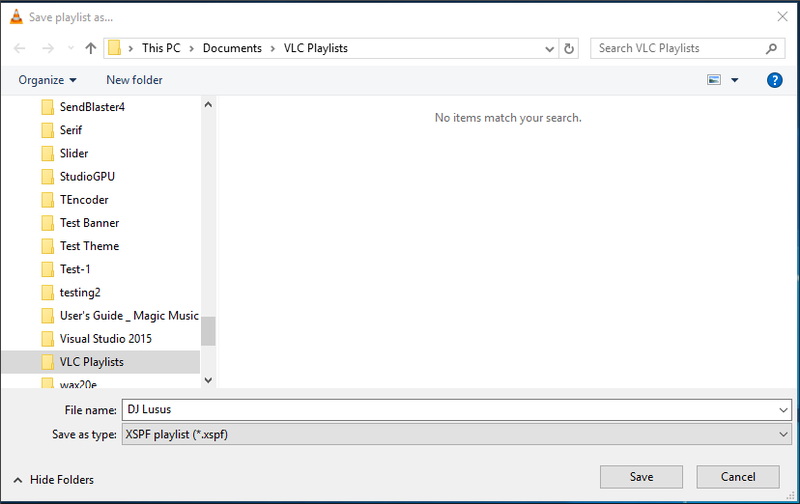 4/ Navigate to where you want to save the playlist file then give it an identifying name. 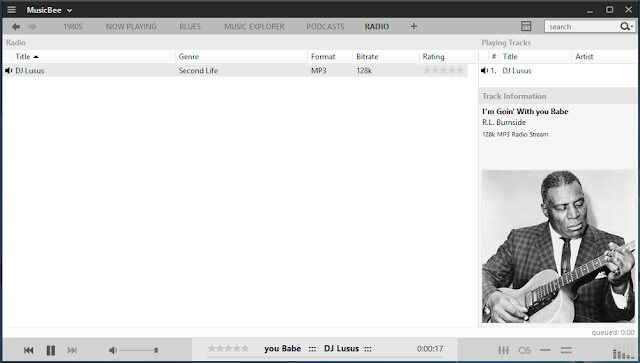 The playlist is of course the music url from Second Life so I've named it after the DJ. Now click Save. 5/ To start playing the stream in VLC select Media > Open file, and if necassary navigate to the folder with the file you just saved. Double click on the file to open and listen to it in VLC. Alternatively, go directly to the folder and double click on the file. 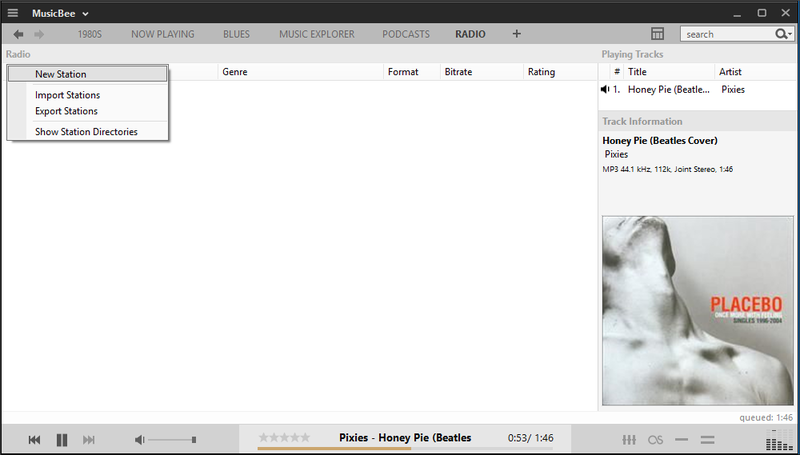 This will open the it in VLC, and so long as the DJ is streaming, you'll be able to listen to them. Another easy way to save and play Second Life streams is to use MusicBee. 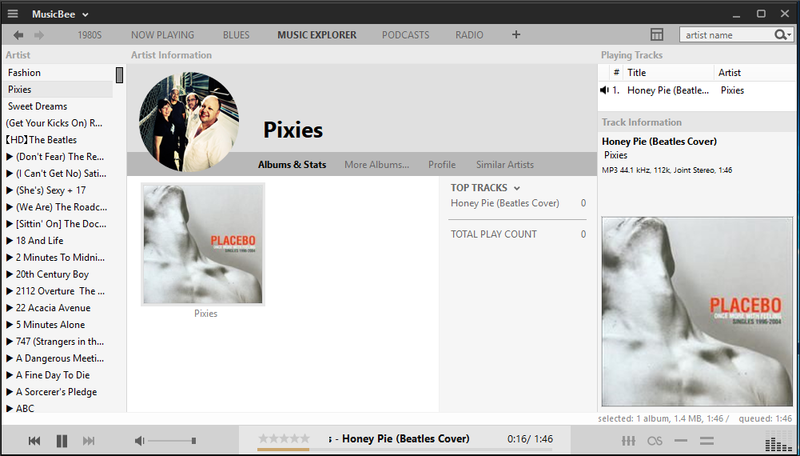 Like VLC, MusicBee is an excellent media player, but it is much more than that. You can use it to sort your music files into playlists, organise them by genre, and basically use it as a database to manage and play all of your music. Unlike VLC which can also play movie files, MusicBee is focused entirely on music including internet radio stations, and it is this feature that can be used to add and name music streams from Second Life. Follow these steps to do just that. 1/ MusicBee is quite complex with many different looks and ways to configure it, so when you first start it up, it may look different than above. Don't worry about that though, just click on the Radio tab near the top of the window. 2/ Now click on Radio towards the top left and from the drop down menu select New Station. 3/ The small window shown above will open where you can add the stream details, the most important of course being the url and an identifying name. 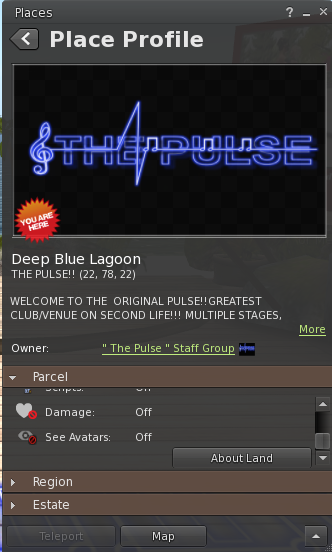 As you can see I have also added an image for the stream and I've called the genre Second Life so I know its the stream of an SL DJ. 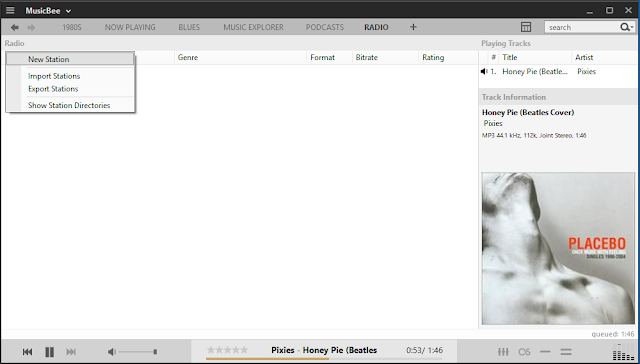 Click Save, and the stream has been added to MusicBee. 4/ The above image shows the music stream and name. If more url streams were added they would form a list. To select a stream simply double click on it. Once you're connected, details of the current song and (quite often) a related image will be shown to the right. Thats all there is to adding streams from Second Life to either VLC or MusicBee. Have fun trying out both and see which you prefer.